The Canon REALiS SX6000 is the latest in Canon's line of high-resolution 4:3 LCoS data projectors. Its native resolution of 1400x1050, or SXGA+, is among the highest available in a native 4:3 aspect ratio. And while 4:3 displays have fallen by the wayside to some extent, it is still a useful aspect ratio in a number of applications including medical imaging, education, and digital signage, to name a few. The SX6000 shares a lot of features in common with previous SX-series REALiS projectors, including SXGA+ resolution, high light output using a single lamp, an LCoS light engine, and powered lens adjustments. It also shares those previous models' relatively weak black levels, which means the SX6000 performs at its best in rooms with ambient light. If you need a 4:3 projector with high resolution and the ability to function well in ambient light, the REALiS SX6000 might be for you. The SX6000 is sold without a lens, so you must install one before you can start using the projector. Our test sample shipped along with Canon's Standard lens, a 1.5:1 zoom model with powered adjustments. The lens installation process is more complex than on most interchangeable-lens projectors and requires a small Phillips screwdriver, so be sure to have one on hand before you begin. The "standard" lens has enough vertical lens shift range to place the image completely above or below the lens centerline. It is therefore possible to mount the SX6000 on a conference room table, in a ceiling mount, or on a rear shelf, depending on what would work best in the room. This kind of flexibility makes the SX6000 easy to install across a number of conference or classrooms regardless of the physical differences between them. The SX6000 creates a bright, colorful picture that stands up well to ambient light. While black level is not strong enough to make the SX6000 a strong photography projector in a darkened room, the projector has enough light output and dynamic range to make ambient light less of a concern. 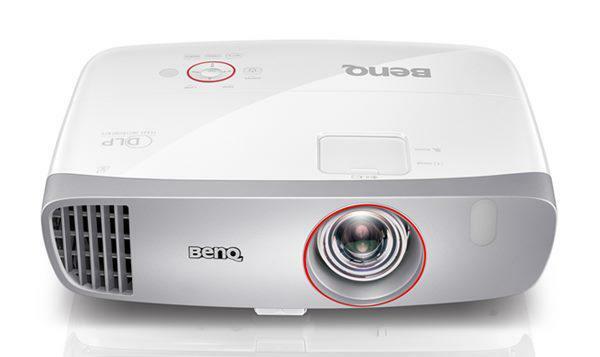 Thus the projector really comes into its own when used in a room with ambient light. The SX6000 has a variety of pre-calibrated image modes plus a whopping five User settings for custom calibrations. The pre-calibrated modes, by and large, have solid color appropriate for the application in question. Standard mode in particular is a good choice for ambient light due to its gamma settings and slightly blue white balance, while Cinema and Photo/sRGB modes are both good choices for material that requires 6500K white balance and higher contrast. While the SX6000 can be calibrated to near-perfect color accuracy, it also provides a serviceable image right out of the box.